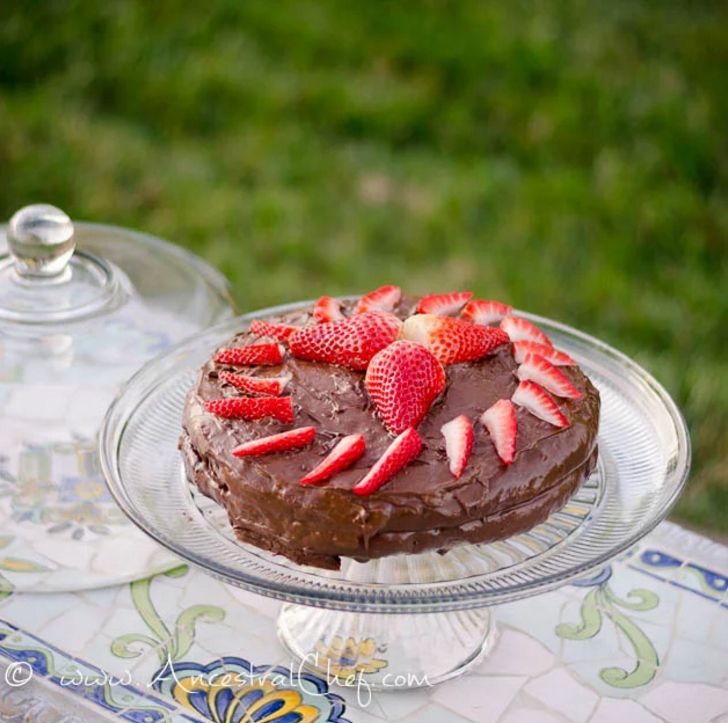 A delicious gluten-free, Paleo, grain-free, dairy-free chocolate cake that will delight and amaze everyone. Mix together the ingredients for the cake. Line 2 9-inch cake pans with parchment paper (base and sides). Divide the cake batter between the 2 pans and bake for 30 minutes (check the cake is done by inserting a cocktail stick and making sure it comes out clean). While the cake is baking, mix together the ingredients for the chocolate coconut ganache and place in fridge to thicken. Mix together the ingredients for the chocolate frosting and refrigerate for approx. 15 minutes (it's ok if you refrigerated it for too long). When the cakes are done, let them cool for at least 30 minutes (otherwise the ganache and frosting will melt on the cake!). If the tops of the cakes are not flat, then you can gently cut off the top of one of them to make it flatter. Spread ganache on one of the cakes and place the other cake on top to form the top layer. Stir the chocolate frosting gently with a fork to make it form a frosting consistency (if it's too hard, then let it melt a bit at room temperature, or if it's too liquidy, place it back in the fridge for a bit). Spread the frosting on the cake and add any additional decorations you want.